The first team trained on Wedensday morning on Field Two at the Ciutat Esportiva to continue preparing for Saturday's match versus Sevilla at Camp Nou. GET TICKETS HERE! FC Barcelona trained for the second time this week on Wednesday morning at the Ciutat Esportiva Joan Gamper as they continued to prepare for Saturday’s match versus La Liga leaders Sevilla. 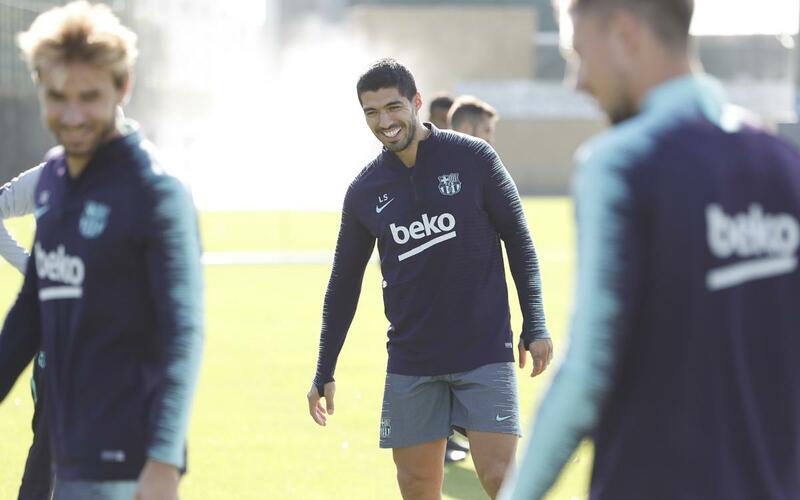 Luis Suárez and Sergi Roberto worked out with the rest of the group for part of the session, while another returnee, Sergio Busquets, also took part in his first workout after spending several days away with the Spain national team. All other available first team players took part in the session, and they were joined by the Barça B players Jokin Ezkieta, Iñaki Peña, Chumi, O. Busquets, Riqui Puig and Mujica. Barça will train again on Thursday at 11.00am CET.